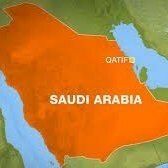 The Saudi media and human rights activists reported that the Saudi Arabian government intends to execute 6 youths from the Al-Qatif province in the coming days. There are serious concerns over the observation of fair trial principles. The ODVV is extremely concerned about the fate of these individuals and calls upon all human rights activists, international NGOs active on the Middle East, and also the UN Special Rapporteur on Minorities to immediately protest against this matter and to put pressure on the Saudi government to stop the executions and review the issued sentences in accordance with international standards. He is 21 years old, was arrested in the first half of 2013 at Damam airport and is accused of collaborating with a number of individuals suspected by the security services in organising an anti-government march and causing damages to some public properties. He is from Al- Awamiyah. He is 22 years old and is accused of planning and participating in various demonstrations, burning tyres and causing unsafety and disturbance. He is from Al- Awamiyah. He is 21 years old and one of the most wanted individuals in the top 22 list of the police. He is accused of killing a police officer, firing at security forces patrols and burning police cars in Al-Awamiyah while carrying out their duties. The individual is also accused of carrying out armed robberies in some commercial properties in Al- Awamiyah. He was arrested in a planned police sting operation and had some drugs in his possession. He is from Al- Awamiyah. He is 31 years old and the older brother of suspect on the run in the top 22 most wanted list (Hossein al-Rabii). He is accused of firing shots at some police patrol units and armed robbery. He is from Al- Awamiyah. He is 22 years old and was arrested in 2012. A light machine gun was found in his possession. He is accused of opening fire on the Al-Awamiyah police headquarters. He is from Al- Awamiyah. He is 21 years old, was arrested at the beginning of 2013, and is charged with participation in anti-government protests, blocking traffic, throwing firebombs (Molotov cocktails) at police and security forces patrols. He is from Safawi. Furthermore, the following have had arrest warrants issued against them which are serious causes for concern with regards to failure to observe fair trial, prohibition of torture, the right to personal freedom and security and humane behaviour principles, in treating these suspects. 1 – Hassan Abd al-Wahab al-Jazayeri, 22. Charged with: blocking traffic, disrupting traffic, participation in anti-government protests, burning tyres on streets to create obstacles and prevention of police movements. He is from Al-Qatif. 2 – Abd Allah Hani Aal Tarif, 22. Charged with: collaborating with a number of individuals under investigation accuse of selling weapons and transportation of individuals on the run. He is from Al- Awamiyah. 3 – Mohammad Mansour Aal Nasser 23. Charged with: armed robbery and targeting police patrols while carrying out their duties. He is from Al-Qatif. 4 – Mostafa Ahmad Darwish, 22. Charged with: firing at a police patrol and injuring one of the officers in the vehicle. He is from Al-Qatif. 5 – Fazel Hassan Labbad, 25. He was one of those detained in the first half of 2012, who is charged with collaboration with a terror cell and some police officers who are under accusation and also targeting the al-Awamiyah police headquarters. He is from Al- Awamiyah. 6 – Saeid Mohammad al-Sakafi, 21. He was arrested at a checkpoint. In 2012 he was tried on charges of firing at a Saudi citizen and targeting the Al-Awamiyah police station. He is from Al- Awamiyah. 7 – Ahmad Faisal Aal Darwish, 24. He was arrested in 2013 at a checkpoint He is charged with blocking traffic by burning tyres and participation in causing damages to public property. He is from Al- Awamiyah. 8 – Mohammad Khalil al-Shaqaq, 24. Charged with firing at police patrol while patrolling one of the city streets. He is from Al-Qatif. At this critical moment, the ODVV calls upon all international human rights organizations, Mr. Zeid Raed Al-Hossein, the UN High Commissioner for Human Rights, the UN Special Rapporteur on Freedom of Religion and Belief, the UN Special Rapporteur on Extrajudicial, Summary or Arbitrary Executions, the UN Working Group on Arbitrary Detention and human rights activists to work hard towards saving the lives of these individuals and to have their human rights observed.